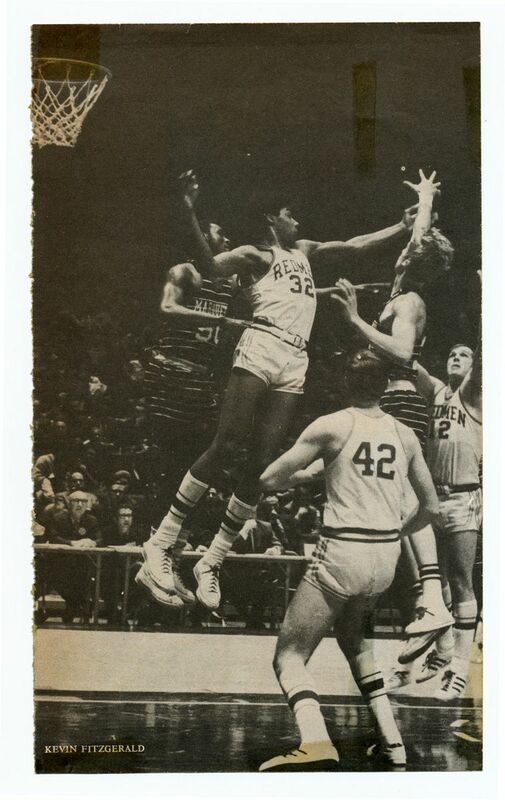 Unquestionably, the greatest athlete in UMass history, Julius Erving, known simply to the world as "Dr. J," played basketball for two seasons under legendary head coach and fellow UMass Hall of Famer Jack Leaman from 1969-71. During his two seasons, Erving averaged an astounding 26.3 points and 20.2 rebounds per contest. Incredibly, only once in his 52 career games did he fail to record a double-double. Erving turned pro following his junior year, but not before leading UMass to two Yankee Conference titles and its first two appearances in the National Invitation Tournament (NIT). Along with Trigger Burke and all-time scoring leader Lou Roe, Erving remains one of only three Minutemen to have his jersey number retired. Erving’s college basketball experience enabled him to become of the greatest players in both ABA and NBA history. He was inducted into the UMass Athletic Hall of Fame in 1980. 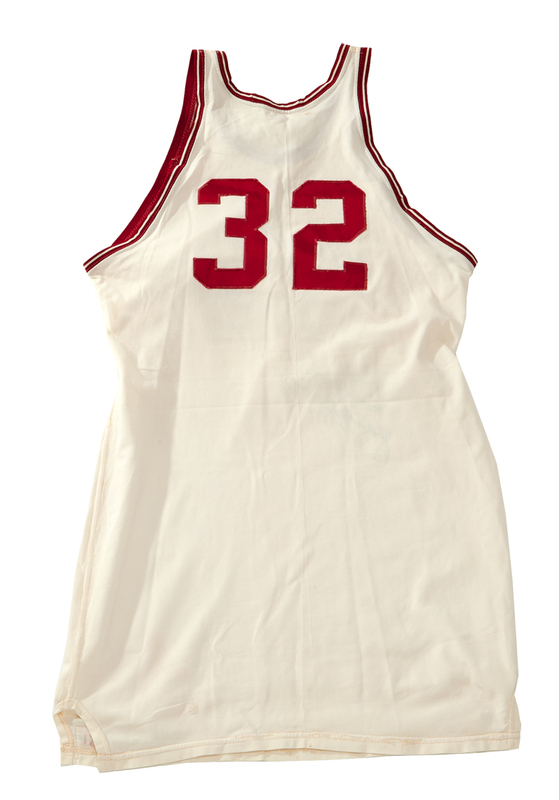 The offered jersey, from Dr. J’s first season of play at UMass, is arguably the finest collegiate basketball jersey ever offered publicly. 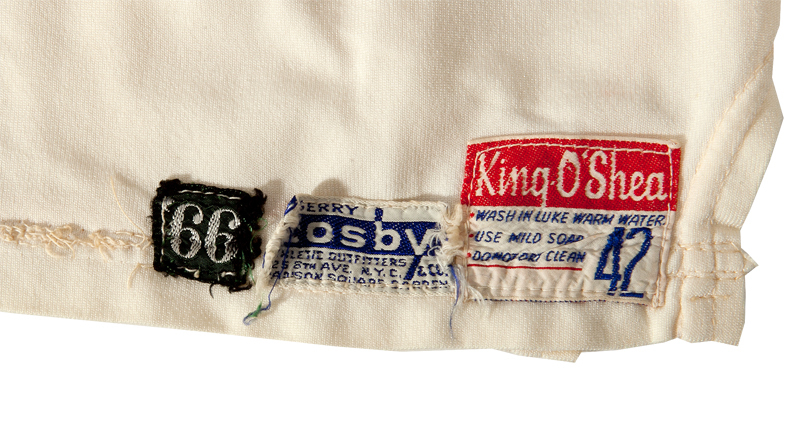 The off-white cheese cloth jersey features King O’Shea (size 42) manufacturer’s tag with adjacent Cosby tag and year “’66” tags stitched on the front tail. The year tag indicates that this jersey was carried over from previous seasons. 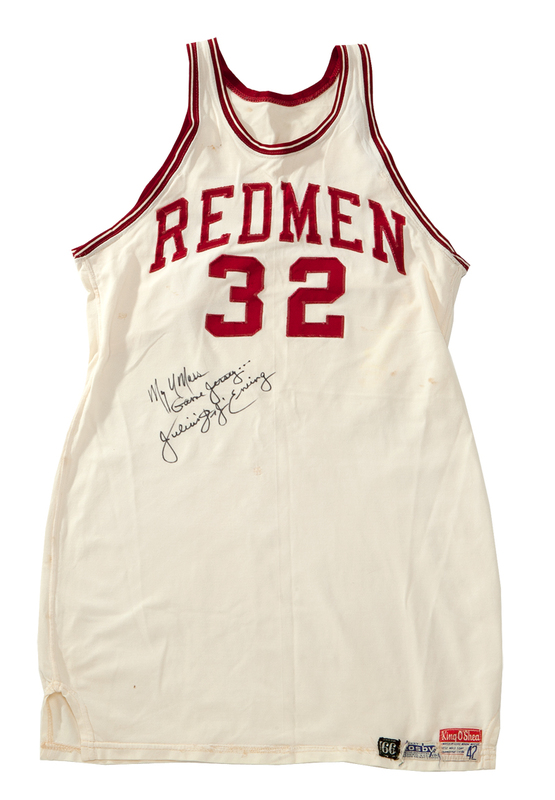 The now-defunct team name “Redmen” is stitched across the front in crimson lettering and Erving’s number 32 appears on front and back. Excellent but not excessive usage wear is evident throughout. Three small period team repairs are suggestive of considerable player service. The overall display quality is virtually unimprovable, enhanced by Dr. J’s inscription on the front, “My Umass Game Jersey…Julius Dr. J Erving” in black sharpie.